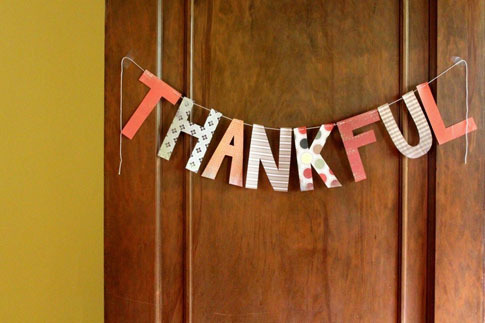 I've spent quite a bit of time the past few weeks reflecting on what I'm thankful for. I mentioned last weekend that we've had some tough stuff affecting us and the people around us lately. Unfortunately, it sometimes takes the hard things to remind you that most of your complaints are petty and selfish and that, at the end of the day, there is much to be thankful for. -My husband, Ryan. I am so fortunate to be married to someone who challenges me daily to be a better person! -My family. From my in-laws to my parents to my cousins to my grandparents and everything in-between. I'm convinced one of life's greatest gifts is your family. -My siblings. Julia, Quinn, and Renatta are my best friends. I love who they are individually and I love who we are as a family unit (with Dennis, Jane, Ryan, and Nate of course!). -My job. A job is a job, but I can honestly say mine is worth spending 40+ hours a week at. I like what I do, who I work with, and I get the chance to travel (just returned from Seattle yesterday!). -My friends. I'm spoiled when it comes to friendships. Some of my closest friends are hundreds of miles away (too far!) and others are just a mile away, but all have an incredibly special place in my life! -My community group. And along with that, our church. Both offer ample opportunities for learning, growth, and faith. -This blog. The Sweets Life can be an incredibly time consuming and sometimes expensive hobby, but I wouldn't trade it for the world. Thank you to all my readers who leave comments, send kind emails, and come back day after day to read! On that note, I'm off to spend time with my family and of course eat good food! Have a blessed Thanksgiving!